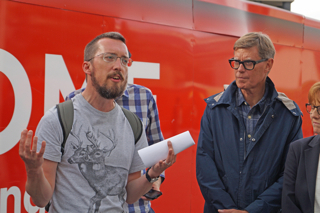 The Museum of Walking are teaming up with Tom Bolton author of Vanished City and Lost Rivers for London to create a participatory walkshop for you to uncover some of the hidden and overlooked layers of history that lurk in and around Kings Cross. 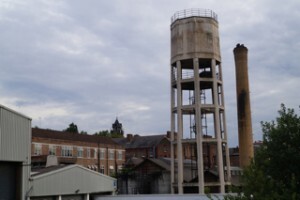 Once an emblem of urban decline, this former thriving industrial site is now being spruced up as a knowledge centre and a ‘must place’ to which to relocate. 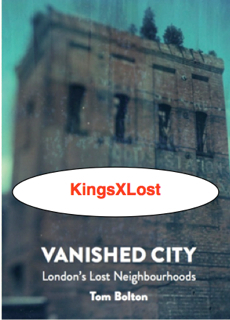 Kings Cross can lay claim to being the Dead Centre of London. Throughout the decades this area has been through the mill of mis-representation but let’s not tell you too much more, as on this outing you are going to be doing the investigation in the myths and truths of this extraordinary area. See familiar places from a new angle, get your feet wet in the River Fleet, discover hidden gems and vantage points to see into this neighborhood’s (in)glorious past – let’s discover what has Kings Cross lost? Thursday 23 July 2015 Start 6.30pm-8.30pm Birdcage Sculpture beside the German Gymnasium, St Pancras Way, London NIC 4TB On-line: £15 / £10 NUS concession. On the day £20 On-line tickets are the cheapest – if you introduce a friend you and they get £2 cash back on the day (£1 cash back if you are a student). Tom will be signing copies of his books. A special discount for the books will be made available to those on the walk. Good information – pleasant people | The island concept | 5 stars | Totally involving! to walk slowly and heavily along, as in “I must soak home and get a bite to eat.” from the Dictionary of Newfoundland English (University of Toronto Press, 1982).